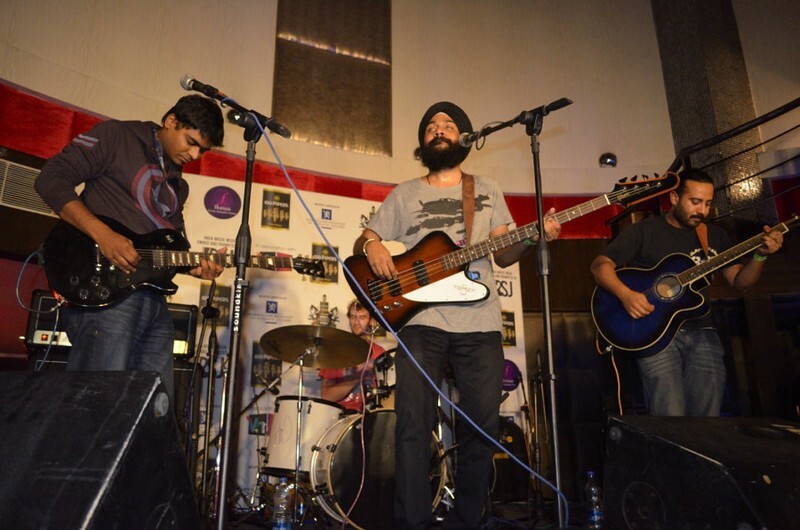 India Music Week at Florian, New Delhi | WhatsTheScene? If the bands that played this gig weren’t as professional as they are, it would’ve been a horrific night for the organizers and attendees alike. But I suppose it is gigs like these that actually prove a band’s strength as performers. Having arrived at the venue around 10:00 p.m. for a 9 o’ clock show, I was pretty sure I’d missed at least one set. On entering the venue I realized that Thermal and a Quarter were in the middle of their sound check. Partly relieved and party confused, I wondered why the sound check dragged on this long. Standing at the right side-fill speaker and hearing it boom and crackle, realization dawned on me. It didn’t take an audiophile to figure out that the sound at the venue was at par with a B-grade engineering college festival. Yet, sound check was somehow wrapped up by 10:15. At about 10:45, Menwhopause went on. Right from the go, there seemed to be something wrong with the sound. The main guitar amp was being moody. Towards the end of the song, the amp died completely. After a few minutes of tinkering to no avail, the band called for the sound guy, only to be informed that there was nobody at the console. Patience running out, and tempers mounting, the organizers were at a loss – so much so that an associate of the organizers almost got into a tussle with one of the members of the audience who was shoved unapologetically by said organizer while he tried to make his way to the stage. Professional indeed! After all the drama, the amp decided to come back to life. But not even a minute into the second song, the amp died again. Menwhopause seemed furious and stormed off the stage and started packing up. A small chat with the lead vocalist revealed more about the organizers’ disorganization and mismanagement. The band’s tech rider had unequivocally requested for two amps, but saw only one available at the venue. After Menwhopause cleared the stage, TAAQ left the green room and proceeded towards the stage when they were informed en route about the wayward amp. They cast quizzical looks about, but set up anyway. It almost seemed like another sound check, with their levels all over the place and the band having to direct the sound guy all over again. While the bass amp was having its own issues, the guitar amp refused to budge. 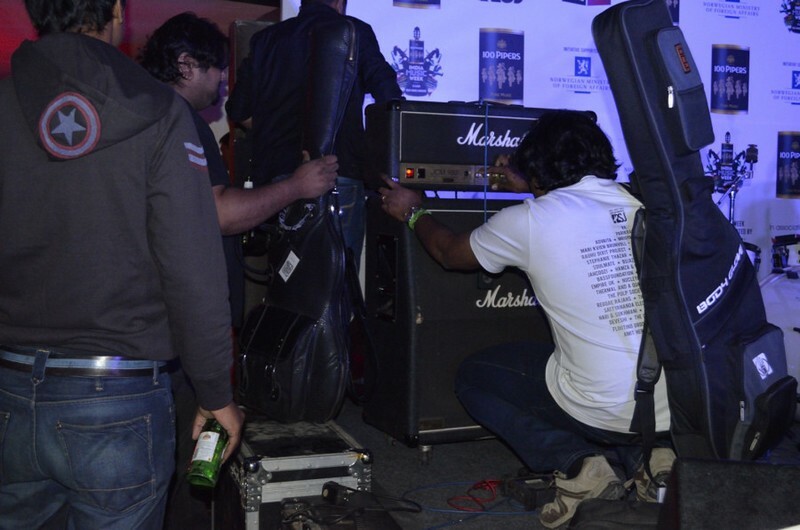 In true Indian fashion, Bruce, vocalist and guitarist, punched the amp in one last attempt and voila – it worked and showing no signs of dying thereafter! We were going to have a show after all! Thermal and a Quarter played quite a few new tracks, and despite the horrendous sound arrangements, they pulled off one of the best sets I’ve witnessed. They started off with the mid-paced ‘Dangerous‘. With intricate chord structures and progressions, it seemed like a song straight out of Jupiter Cafe, their second studio album. By the end of the song, the crowd that seemed to have disappeared came rushing back. 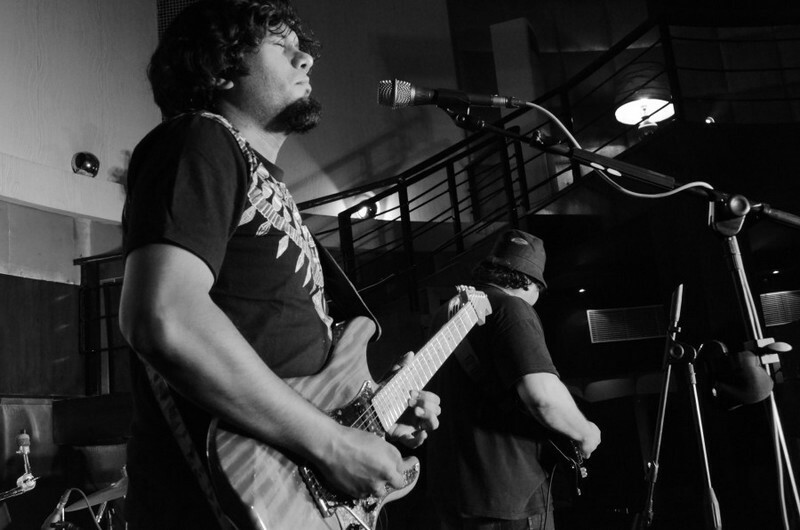 The band had captured the audience’s attention and it was only going to get better. 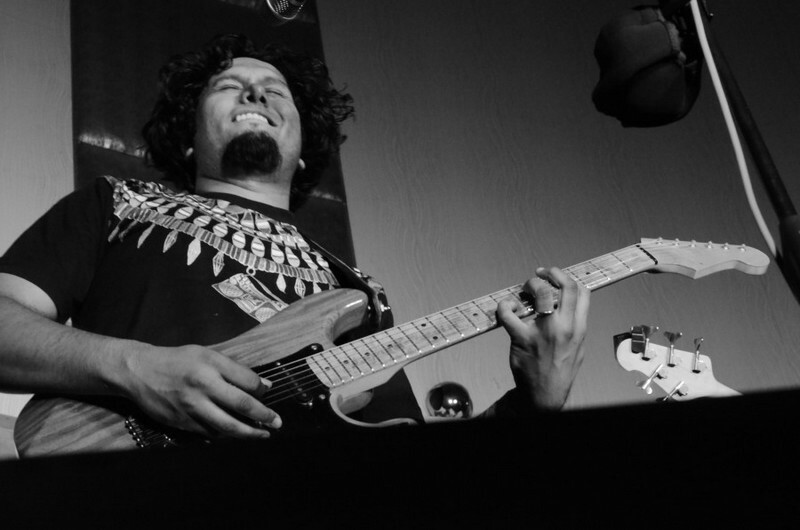 They then went on to play another song called ‘Mighty Strange’, based on Bangalore. They raised the tempo with ‘Galaktiqua‘ (off their third album, Plan B), a fast paced song about consumerism. The strength of the band, I felt, lies in how much effort goes into making their live set sound just like it is on their album, though a little chat with the band post-gig revealed that it’s the other way around. 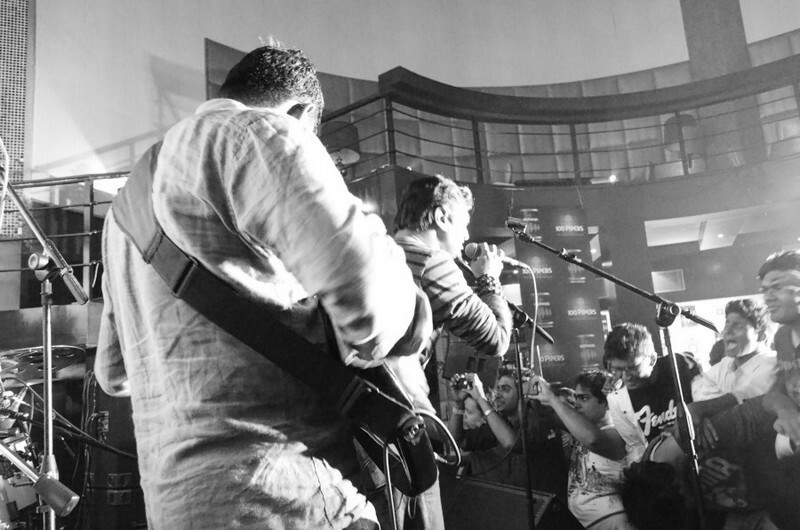 By the end of the song, the crowd was in a daze, having forgotten all about the fiasco that had preceded TAAQ’s set. The band moved into their rendition of Nirvana’s ‘In Bloom‘, which could’ve easily been an original by the band. TAAQ has a history of “TAAQ-ifying” any covers they do and this was no different. They ended the set with yet another new song about the auto drivers of Bangalore, ‘Meter Mele One and a Half.’ With an enchanted crowd screaming for an encore, the band played their most famous song, ‘Paper Puli‘. TAAQ had won the crowd over, and it was time for Motherjane to take the stage. Motherjane was clearly the crowd favourite that night; the audience was already cheering wildly for the band as they made their way to the stage. And it was sound check all over again! They opened the set with ‘Disillusioned‘, segueing almost immediately into ‘Fields of Sound’, which is probably the most progressive-sounding song in their catalogue. The crowd was screaming their lungs out as they moved onto ‘Chasing the Sun‘, their last song for the day. It was hard to tell whether the crowd was pausing for breath at all, as the band moved into encore with ‘Mindstreet‘. It would be unfair to really talk about how each band sounded, because anyone who’s heard all three bands before would know that, the issue, though I hate to bring it up again, was the sound. It was uneven, unbalanced and shrill. If the speakers that feed the audience crackle, one cannot expect them to enjoy the music. Despite that, TAAQ and Motherjane left the crowd in an excellent mood, as opposed to the haunting gloom during the guitar amp saga. It was extremely unfortunate that Menwhopause got a raw deal at the gig. They probably spent the largest portion of stage time setting up and fixing the amp and they didn’t even get to play. I only wish they had tried hitting the amp at least once before leaving.